This book is about the processes that allow some terminally ill patients to experience quality of life, what hinders it, and what anybody (patients, carers and professionals) can or should do about it. Curiously not mentioned in the book or on the cover, Catherine Proot is Psychological Specialist in Palliative Care and Bereavement Coordinator at St Nicholas Hospice Care in Bury St Edmunds in Suffolk; Michael Yorke is a retired priest and Vice-Chairman of the Norfolk Hospice. Part 1 deals with the patient experience and provides a summary of the physical and psychosocial stresses that can be caused by life-threatening illness and treatment. The following chapters discuss how changes in relationships, values, attitudes, absorbing interests, and finding meaning may aid the process of coping with and adjusting to life-threatening illness. 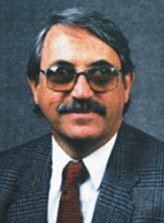 As every patient is different and reacts to illness in uniquely different ways, there are no black and white rules and the authors do not set out to prove anything or to lecture, but provide a calm and readable discussion about which to think or reflect. It is kept tied to reality by the use of a large number of quotations (here and throughout the book) from patients, their families and carers, as well as therapists and other professional carers. Part 2 is about the impact of life-threatening illness on family carers, both personal and social. Part 3 is about the professional carers and their roles and includes interesting material about communication – communication beyond words. There is a strong emphasis throughout the book on spirituality and the spiritual aspects of care, which are universal and apply to every person, and which are clearly distinguished from matters to do with religious beliefs. The emphasis on spiritual care is entirely justified, as the authors make a good case that this is what matters once the other domains of suffering (e.g. physical pain) are controlled. This book is about the suffering associated with life-threatening illness, how some patients and their families seem to manage better, and how good holistic care (with an emphasis on the spiritual aspects of that care) provided by the professional carers may help ameliorate that suffering. Anybody who works in palliative care will be better off for having read this book and reflected on what it says in the context of their own work. This book escaped my notice when it was first published and was brought to my attention by the robots at Amazon. The authors, who spent 20 years observing and writing about the Dutch euthanasia movement, studied medicine and philosophy (HtH) and medicine, philosophy and law (JW). It provides a good history of the medical, social and political aspects of the debate, with more background information about what else was going on in the Netherlands at the time than you would find in the medical literature. There are chapters providing a detailed analysis of Dutch euthanasia practices as reported, the response of the legal system, and an assessment of the ethical aspects of the debate. The final chapter is about what lessons can be learned from the Dutch experience, which should be read by more people involved in the debate in other countries. Their description of all the manoeuvrings on the part of the proponents of euthanasia, how medical acts were re-defined, re-classified and re-interpreted over the 30 years, makes fascinating reading. And the title? It stems from their observation of the paradox that one of the origins of the euthanasia movement was to empower the patient rather than the doctor, but they have ended up with a system in which the doctor is all-powerful. This book reinforces my views that euthanasia as practiced in the Netherlands is neither controlled nor controllable. And remember, this book was published before the recent surge in deaths from terminal sedation reported from the Netherlands. If you have an interest in the euthanasia debate and, like me, you missed this book when it was published, it’s a must read. Massage therapy is used to treat physical problems, but also addresses emotional, social and spiritual needs. Of the order of 10-20% of patients with cancer receive massage therapy, defined as any form of systematic touch therapy, at some time during the course of their illness. 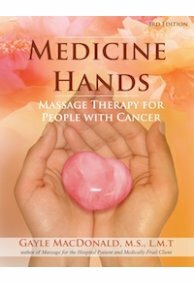 This book reviews many aspects of oncology massage, from diagnosis, through treatment and long-term survivorship, and there is a separate chapter on end of life care. The field of oncology massage has progressed rapidly in the last 20 years, but has not quite come of age because the research base on which it is built is bedeviled by a thousand variables related to the patients studied, the treatment given, and the outcomes assessed. There is a good review of the results of research regarding massage therapy, although the earlier half of these studies (1986-2007) has been archived to the Findhorn Press website. The Pressure/Site/Positioning framework, which is the basis on which any massage session is planned, is emphasized and there are boxes in the text throughout the book advising adjustments that might need to be made in particular clinical circumstances. There seems to be an emphasis on treating side effects of surgery, chemotherapy and radiation and I felt there should be more about general well-being. But well-being is the very devil to tie down in a clinical trial. I liked the chapter on end-of-life care, which provides a thoughtful description of the ways massage therapy may help. In the list of things that a therapist might need to appreciate in this setting was the observation that just listening may be enough, which I thought was an enlightened observation. This book will be useful for physical therapists and nurses with an interest in massage therapy who work in oncology and palliative care. 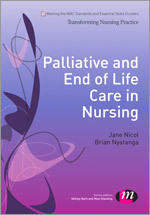 This is an introduction to palliative and end of life care written for students of nursing, medicine and the allied health professions. It includes chapters on holistic care, communication, grief and bereavement, cultural issues, ethical issues, and care in the critical care setting. As an introductory text for the undergraduate classroom, I think it provides the core information. I found all the listings of Standards and Essential Skill Clusters a bit tedious – almost as though these were more important than the topics under discussion.